A Chinese former provincial-level official who once enjoyed power and privilege because of his willingness to direct the repression of peaceful meditators might now regret his adherence to the Party line. Guo Youming, who boosted his career credentials by actively taking part in the persecution of the Falun Gong spiritual practice, was sentenced to 15 years in prison for bribery following two years of investigations, the court handling the case announced on Dec. 9. The 61-year-old Guo had been previously removed from his post as vice governor of his native Hubei Province in 2013, a mere 16 months after he took office. His recent verdict was handed down by the Nanyang City Intermediate People’s Court. An unnamed source at the local Party anti-corruption commission told New York-based New Tang Dynasty Television that Guo’s downfall was closely related to his activities while serving as mayor of Yichang, a city in Hubei located near the Three Gorges Dam. In particular, Guo, who was Yichang’s mayor from 2004 to 2011, was involved with the Three Gorges Quantong Coated and Galvanized Plate Company, where he oversaw a roughly 20 billion yuan ($3.11 billion) investment. The company, which was the second-largest in Hubei Province, went bankrupt, and Guo made off with 1.4 billion yuan (about $218 million), according to China Business Network. But to Guo’s record are more crimes than the Communist Party would be willing to admit in a court verdict. The persecution of Falun Gong began in 1999 under orders by then-Party leader Jiang Zemin. Among Chinese officials, it became clear that taking an enthusiastic stance in the repression was a sure way of gaining approval from Party Central. 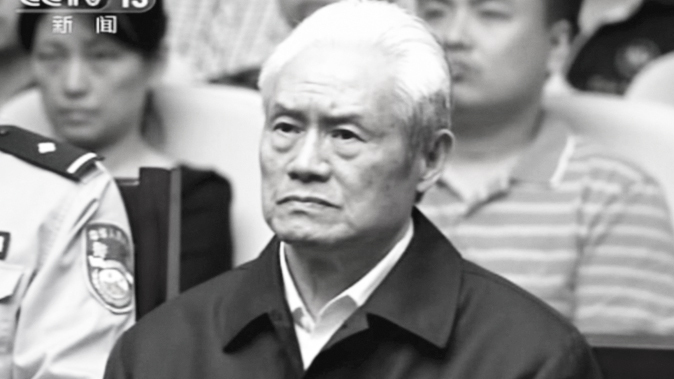 Infamous figures such as Zhou Yongkang, formerly head of the Party’s agency overseeing security, backed up and carried out Jiang’s policies. In March 2004, following Zhou Yongkang’s visit the previous month, residents of Yichang opened their newspapers to find a report declaring that their mayor and Party secretary, Guo Youming, had vowed to take tough measures against Falun Gong practitioners. Reports published on Minghui.org, a primary source for information about the persecution of Falun Gong, indicate that practitioners in Yichang have suffered heavily at the hands of the authorities during Guo’s tenure. Incomplete statistics list at least seven deaths among larger, unknown numbers of practitioners tortured, injured, disabled, or rendered insane while in custody. In one case, 34-year-old Shen Ju, a woman who began practicing Falun Gong in 1997, was incarcerated for on-and-off detention terms, during which she developed health problems due to long-term abuse. In 2006, she died in a hospital after falling into a coma. The No.1 Detention Center of Yichang’s Yiling holds practitioners illegally, Minghui says. Many have been forced to do heavy labor in abusive conditions. 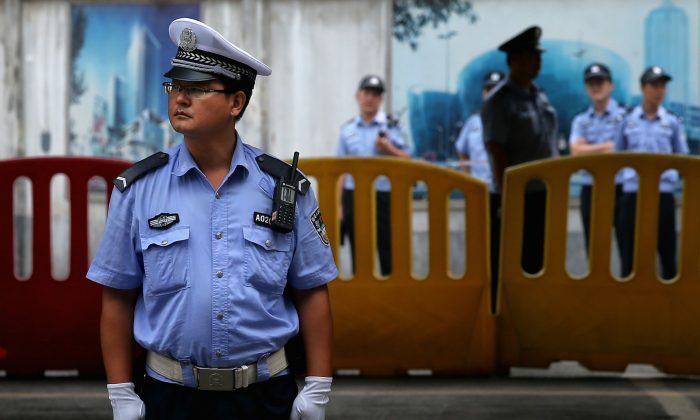 For those with some economic means, the detention center cooperated with Party authorities to blackmail family members for thousands or tens of thousands of yuan (hundreds or thousands of dollars). Having made good on his declarations to deal with Falun Gong, Guo Youming received the treatment he was looking for. In 2012, he was promoted to become vice governor of Hubei Province with the endorsement of Zhou Yongkang, the overseas Chinese-language Mingjing News reported. 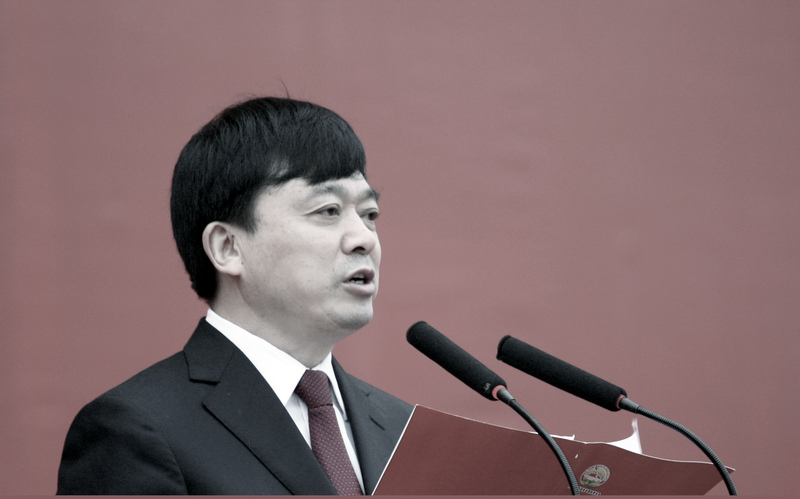 The career of Guo and other officials like him began to unravel in 2013, when Xi Jinping came into office as head of the Communist Party following the 18th National Congress. Having already been engaged in a behind-the-scenes political struggle with the retired Jiang Zemin’s political allies, including Zhou Yongkang, Xi moved to consolidate his power by disciplining over 100,000 officials, military personnel, and Party members via a massive anti-corruption campaign. Over 100 high-level officials have been expelled from the Party and many jailed. Zhou was placed under investigation and removed from the Party in 2014. A year later, he was sentenced to life in prison for receiving bribes, abuse of power, and leaking state secrets. His hangers-on, like Guo, are still being investigated and sentenced. Jenny Li and Juliet Song contributed to this report. Luo Yu, son of Luo Ruiqing, has penned an open letter telling Chinese leader Xi Jinping to end one-Party dictatorship and transform China into a democracy.